Voters came out in record numbers for the midterm and elected a divided government; Democrats won the majority of seats in the House of Representatives, and Republicans won a larger majority than they previously held in the US Senate. HOUSE: As of 4:02 pm today, Democrats have won 222 seats, Republicans have won 196 seats, and 17 races are undecided for the 116th Congress. Democrats have flipped 29 seats, while Republicans have flipped two seats. This is a change from the current majority for the 115th Congress which is 235 Republicans to 193 Democrats. As noted above, there are 17 undecided races for House seats, some of which will impact committee leadership. For instance, the race between incumbent Congressman Jeff Denham (R-CA), who is aiming to take over the top Republican slot on the House Transportation and Infrastructure Committee, and his Democratic opponent Josh Harder is too close to call. Late today, Congressman Sam Graves (R-MO) announced his intention to also run for the top committee slot. Due to voting laws in states like California, where they accept absentee ballots through the mail for three days after the election, many results in close races may not be decided until next week. A document that reflects changes to the House committees with jurisdiction over energy, natural resources, public lands, environment, transportation, and tax policies is available here. SENATE: Republicans have secured control of at least 51 Senate seats and are leading in three races. Democrats have control of 46 seats. The Senate race in Arizona remains too close to call while the race in Florida is going to a recount, and the Mississippi Senate race will go to a run-off. Both the House and Senate are scheduled to reconvene next week to finalize appropriations bills for Fiscal Year 2019 in addition to making preparations for a new Congress in January. While in town, each party will begin separate leadership elections and orientation for newly elected Members of Congress. These intra-party elections are a signal of what to expect once the newly elected 116th Congress convenes in January when the House of Representatives and Senate will formally elect a Speaker and Majority Leader respectively. 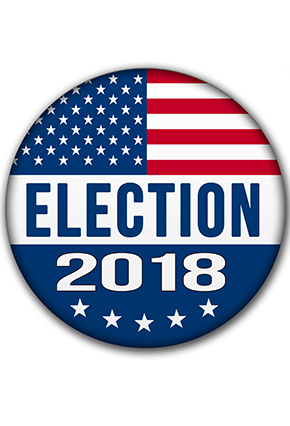 Democratic Leadership Elections: House Democratic leadership elections are currently scheduled for November 28th and 29th but may be postponed until the first week of December. Senate Democrats are likely to quickly reaffirm their current leadership team as no contested leadership elections are expected within the Democratic Caucus. House Democrats: Having won the Majority, Democrats will have more leadership positions to fill than they had while serving in the Minority. Included in the campaign rhetoric was the promise of a contested race for Speaker among Democratic ranks. This would not be the first time current Minority Leader Nancy Pelosi (D-CA), who is slated to ascend to the role of Speaker, has fought off intra-party opposition. House rank-and-file members expect Nancy Pelosi to be elected Speaker of the House by the Democratic Caucus despite politically charged campaign rhetoric about her status as the Democrat’s leadership of the Democratic Caucus. Democrats in the House will also vote to elect their party Majority Leader, Majority Whip, Assistant Leader and Caucus Chair. Congressman Steny Hoyer (D-MD), the current Democratic Whip, is expected to ascend to Majority Leader, and Congressman James Clyburn, the current Assistant Democratic Leader, is likely to assume the role of Majority Whip. There is an expected leadership vacancy within the Democratic Leadership as a result of Congressman Joe Crowley having lost his primary. For a number of reasons, we expect the House Democrats to create opportunities for more junior House members, including some of those newly elected members, to serve in leadership roles within the Democratic Caucus or on key Committees to reflect the changes within the Democratic Caucus. We may also see additional Members of Congress ascend within the Democratic Party in the House to those positions listed above. Senate Democrats: No changes are expected within the party leadership for Democrats in the Senate. Current Senate Minority Leader Charles Schumer (D-NY) is expected to continue to lead his caucus with the Democrats in leadership positions remaining in place. Senate Democrats will have a number of Committee slots to fill as Senators replace departed Democrats on key Committees, a process that will likely have an impact on all major Committees. For example, if Senator Bill Nelson (D-FL) indeed loses his re-election contest, Senator Maria Cantwell (D-WA) will likely have a choice to continue serving as Ranking Member of the Senate Energy and Natural Resources Committee or shift to the Ranking Member role on the Senate Commerce, Science and Transportation Committee. Should this happen, Senator Debbie Stabenow (D-MI) and Senator Joe Manchin (D-WV) are the likely Democrats to take over as the Ranking Member at the Energy and Natural Resources Committee. Republican Leadership Elections: For Republicans, both the House and Senate plan to hold leadership elections during the week of November 12th. House Republicans will then decide on House Committee leadership sometime after Thanksgiving. House Republicans: There will be party and Committee leadership changes for Republicans due to party-imposed term limits, retirements, and the loss of their majority. Speaker Paul Ryan (R-WI) is retiring; Majority Leader Kevin McCarthy (R-CA) and Congressman Jim Jordan (R-OH) are seeking to replace Ryan as Speaker. Today, it is not clear that either Member has enough votes to carry the nomination, but both have enough votes to demand attention to key conservative policy objectives. Earlier this summer, House Majority Whip Steve Scalise (R-LA) also announced he would enter the race for the Speakership, but later said he would only run should Republicans lose their majority in the election. As of press time, Scalise has not officially announced his intentions for a leadership position following the election results. Republicans may also see a contested race for Republican Conference Chair. The leadership position is currently held by Congresswoman Cathy McMorris Rodgers (R-WA). Congresswoman Liz Cheney (R-WY) has announced her intention to run for the position in the new Congress. Senator John Cornyn (R-TX), the current Assistant Majority Leader and Majority Whip, is term-limited out of the Whip spot. Senator John Thune (R-SD) will become Majority Whip. Senator John Barrasso (R-WY) will replace Senator Thune as Republican Conference Chair. Senator Roy Blunt (R-MO) will replace Senator Barrasso as Republican Policy Committee Chair. The race to replace Senator Blunt as Vice-Conference Chair is currently the only contested leadership race. Senators Joni Ernst (R-IA) and Deb Fischer (R-NE) are vying for the position. Lastly, we expect Senator Todd Young (R-IN) to replace Senator Cory Gardner (R-CO) as Chair of the National Republican Senatorial Committee. Congress must return for a “Lame Duck” session as they only passed five appropriations bills for Fiscal Year 2019 before adjourning in September, leaving seven funding bills that expire on December 7th. Included in the seven remaining funding bills are the Interior, Environment and Related Agencies bill which provides funding for the EPA, the Department of the Interior and other agencies. Prior to the election, both Democratic and Republican leadership expressed interest in “clearing the decks” of appropriations and other technical matters before the start of the 116th Congress; however, their interest in taking action may come down to how tough any contested intra-party elections become over the next two weeks. The Congress may also take action on reauthorization of the Farm Bill, the Land and Water Conservation Fund, and the National Flood Insurance program during the lame duck session. The states of Arizona, Colorado and Washington rejected climate friendly ballot initiatives dealing with limitations on fracking, renewable energy resources and carbon fees respectively. California, however, voted to maintain the gas tax imposed by the State legislature. It is also worth noting that Democrats won six gubernatorial seats previously held by Republicans: Michigan, Illinois, Nevada, Kansas, New Mexico, and Maine. A preview of the 116th Congress. Analysis of expected investigations and oversight activity from the Democrat-controlled Congress. Committee assignments and rules changes in the House and Senate. Updates on Administration priorities and anticipated changes in the President’s Cabinet. The professionals who comprise Van Ness Feldman’s bipartisan government relations & advocacy team have served as legal counsel and policy advisors to members of Congress and Congressional committees, White House staff, and as presidential appointees to federal agencies in both Democratic and Republican administrations that have developed many of our nation’s most important energy, environmental, and natural resources laws and policies. Whatever the political environment, clients can rely upon Van Ness Feldman to develop government advocacy and public policy strategies that work. For more information, please call 202-298-1800 or visit www.vnf.com to reach any member of our team.